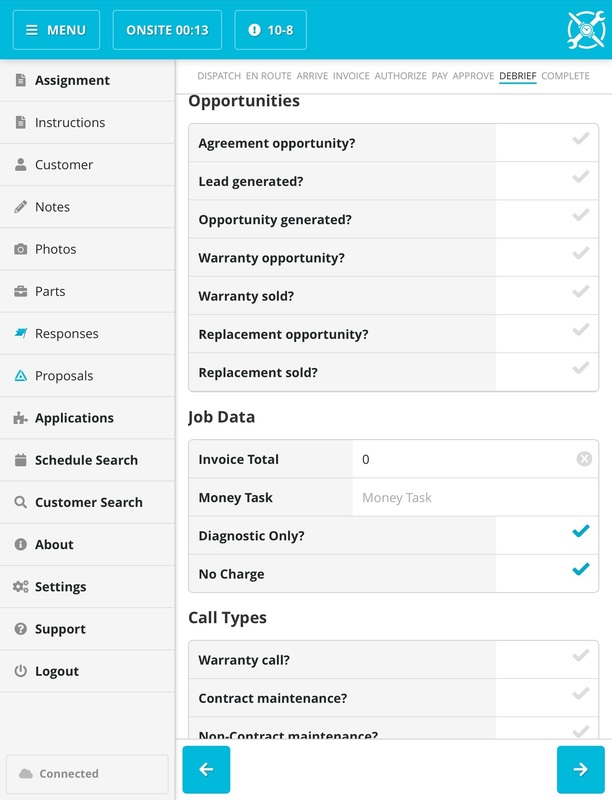 Below is a blank Job Summary screen which can be reached by pressing Control + Z on a job. 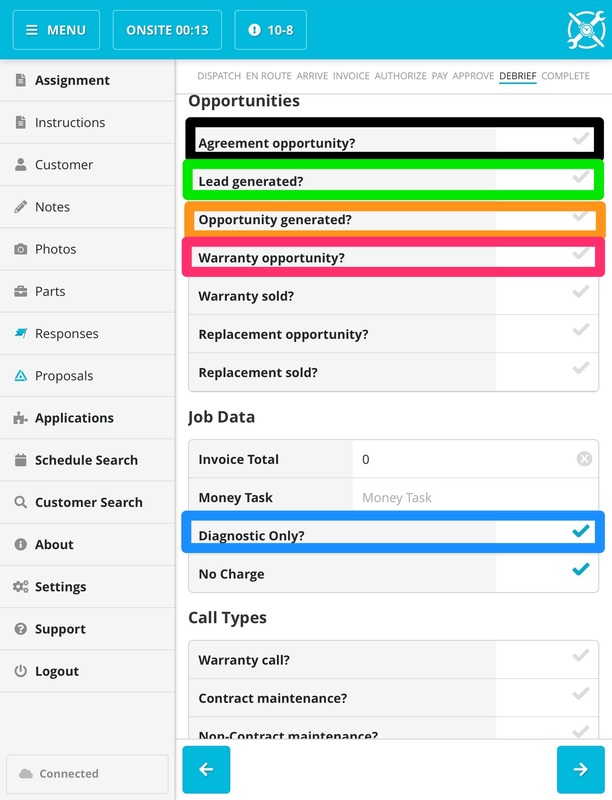 The Agreement Opportunity Checkbox will only be checked if this customer does Not have an agreement. If the customer does have an agreement, then the box is unchecked. Nothing on the Debrief screen in SWRemote will indicate that an Agreement was sold. However, if an Agreement is added onto the Invoice in SWRemote then in the Job Summary screen inside of SuccessWare21, the "Agr Sold" box will be checked.